Is Russia’s Presence in Syria a Fulfillment of the Gog and Magog War? With Russia’s recent airstrikes targeting rebels in Syria, this end times subject matter is once again getting some attention, though it remains controversial, as many counter that the Old Testament simply doesn’t offer up any eschatological proclamations about the modern era. Not everyone agrees. Keep in mind that there is a long history of prophetic prognosticators who have argued that the events described in Ezekiel 38 and 39 were being fulfilled in their day. The following is a brief introduction to the topic that interprets Ezekiel 38 and 39 in terms of its historical context. For a comprehensive treatment of this subject, see my book Why the End of the World is Not in Your Future. It’s a full exposition of Ezekiel 38 and 39 as well as Zechariah 12. The battle is an ancient one fought with ancient weapons: bows and arrows, clubs, shields, chariots, swords, and chariots. The combatants are on horseback. Many interpreters will argue that these ancient weapons are only “symbolic.” One prophecy writer claims that bows and arrows are symbols for missile launchers and missiles. This is no way to interpret the Bible. Why confuse the people in Ezekiel’s day and our day? “Ezekiel describes the attack of Gog, Prince of Magog, and his confederates. Ezekiel states that people from all over the world attack God’s people, who are pictured dwelling at peace in the land. God’s people will completely defeat them, however, and the spoils will be immense. The result is that all nations will see the victory, and ‘the house of Israel will know that I am the Lord their God from that day onward’ (Ezek. 39:21–23). . . .
Ezekiel 38:5–6 tells us that Israel’s enemies come from “Persia, Cush, and . . . from the remote parts of the north,” all within the boundaries of the Persian Empire of Esther’s day. From Esther we learn that the Persian Empire “extended from India to Cush, 127 provinces” in all (Esther 8:9). Ethiopia (Cush) and Persia are listed in Esther 1:1 and 3 and are also found in Ezekiel 38:5. The other nations were in the geographical boundaries “from India to Ethiopia” in the “127 provinces” over which Ahasueras ruled (Esther 1:1). “In other words, the explicit idea that the Jews were attacked by people from all the provinces of Persia is in both passages,”3 and the nations listed by Ezekiel were part of the Persian empire of the prophet’s day. “It is interesting to note that during the lifetime of Ezekiel and up until 1900, virtually all of the villages and cities in the Middle East had walls for defense. Ezekiel had never seen a village or city without defensive walls. Yet, in our day, Israel is a ‘land of unwalled villages’ for the simple reason that modern techniques of warfare (bombs and missiles) make city walls irrelevant for defense. This is one more indication that his prophecy refers to our modern generation. In the book of Esther we learn that there were Jews who were living peacefully in “unwalled towns” (KJV) (9:19) when Haman conspired against them. Israel’s antagonists in Ezekiel are said to “go up against the land of unwalled villages” (Ezek. 38:11). The Hebrew word perazah is used in Esther 9:19 and Ezekiel 38:11. It’s unfortunate that the translators of the New American Standard Version translate perazah as “rural towns” in Esther 9:19 instead of “unwalled villages” as they do in Ezekiel 38:11. The mention of “unwalled villages” the conditions of Esther’s day. Jeffrey is mistaken in his assertion that “Ezekiel had never seen a village or city without defensive walls.” They seemed to be quite common outside the main cities. Moreover, his contention that Israel is currently “dwelling safely because of her strong armed defense” is patently untrue. 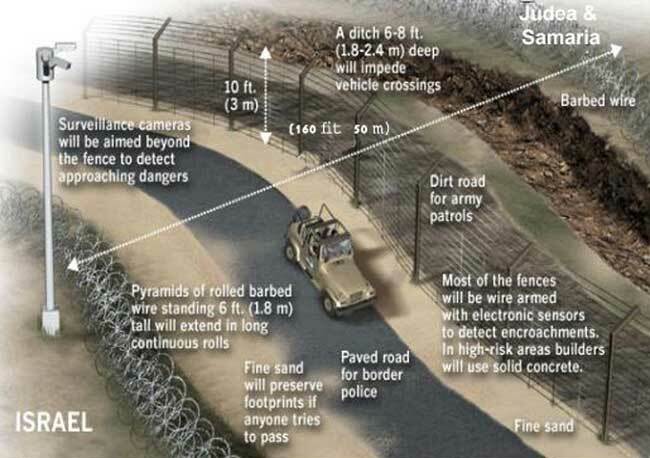 Since 2006, the Israeli government has built more than 435 miles of walls, fences, and barriers in Israel. Haman is the “prince-in-chief” of a multi-national force that he gathers from the 127 provinces with the initial permission of king Ahasuerus to wipe out his mortal enemy—the Jews (Ex. 17:8–16; Num. 24:7; 1 Sam. 15:8; 1 Chron. 4:42–43; Deut. 25:17–19). Consider these words: “King Ahasuerus promoted Haman, the son of Hammedatha the Agagite, and advanced him and established his authority over all the princes who were with him” (Esther 3:1). Having “authority over all the princes who were with him” makes him the “chief prince.” In Esther 3:12 we read how Haman is described as the leader of the satraps, governors, and princes. The importance of this title is made clear in my book Why the End of the World is Not in Your Future. As I point out in Why the End of the World is Not in Your Future, when historical circumstances change, there are changes in interpretation. Islam was considered the prophetic Gog as far back as the eighth century. Protestant Reformer Martin Luther (1483–1546) believed that “the papacy was the antichrist alluded to in the eleventh chapter of Daniel, and the Turk was the small horn that replaced three horns of the beast in the seventh chapter.”11 Hal Lindsey began his prophetic career identifying Russia as Gog in his 1970 blockbuster The Late Great Planet Earth but later changed to the Islamic nations. The Gog-Magog prophecy was fulfilled in the vents of the book of Esther. We should praise God for this ancient fulfillment when God rescued the Jews from almost certain annihilation (Esther 3:6, 13). It’s because of Esther and Mordecai’s faithfulness and God’s special intervention that the Jewish people were rescued and Jesus was born.